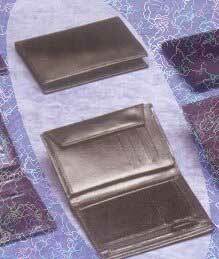 Description : A classic leather Note Case wallet made from environmentally friendly Cow and Buff hides. It has a deep note compartment, nine card slots, two side pockets and a zip pocket for coins. The credit card area is closed with the help of a press button and has a transparent window for the driving license. On the zip pocket, there is a small pocket for your convenience.